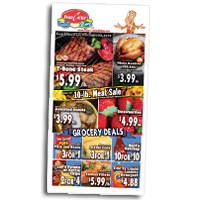 Broadsheets are the most common type of newspaper format, which is why Nowata Printing will make yours stand out. We print a multitude of broadsheet (or standard) products on a weekly basis. Ranging from newspapers to premium inserts, this format is large and has great impact. This type of format is characterized by long vertical pages with the sheets grouped together to form a loose bound publication. Broadsheets make up the standard size newspaper you find most often. Each broadsheet can accommodate a large header and logo, large image, and up to 4 columns of text. Our experienced team of printing experts can create a set of broadsheets for any topic or purpose from news headlines, event information, and advertisements to classified listings, reader feedback columns, and more. Page Count is 2 to 20 per section in 2 page increments.